Hidden down a small laneway in the heart of bustling Seminyak lies one of Bali’s best kept secrets. 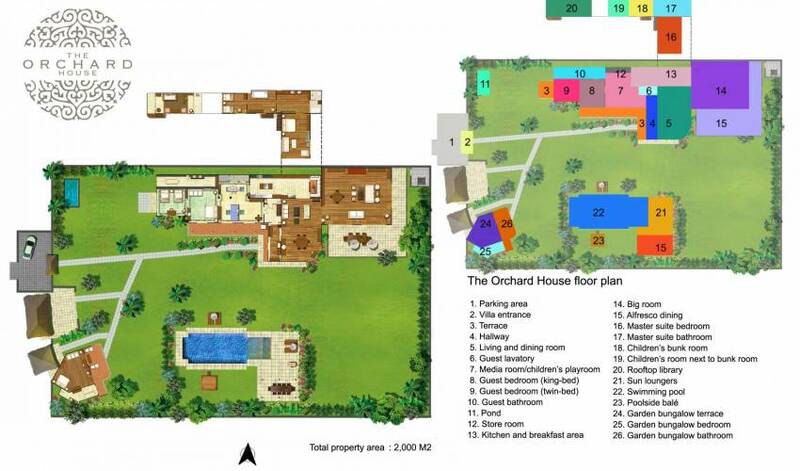 This charming four-bedroom villa, with an additional bedroom that sleeps four children, has a large mature garden and beckons guests with open arms. 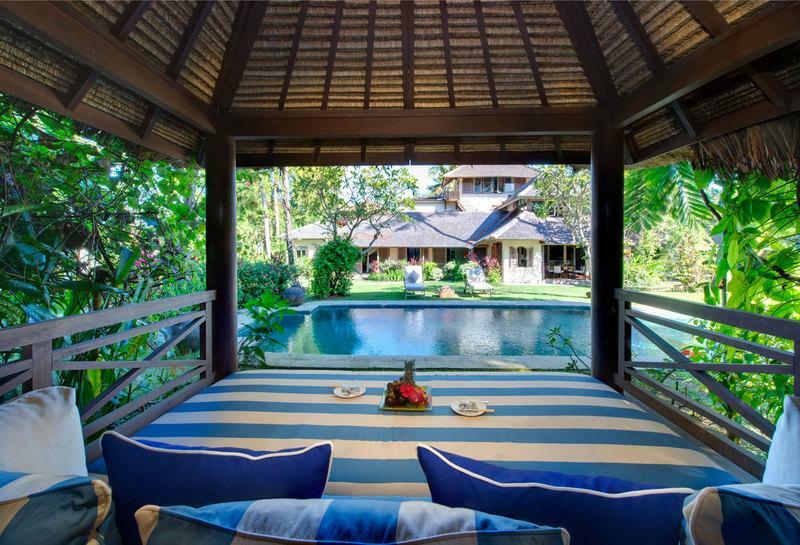 Designed by Bali’s leading stylists, Charles and Luli Orchard, this family holiday home is an eclectic mix of Asian and Western flavours, resulting in a sublime tropical oasis in the midst of the urban jungle. 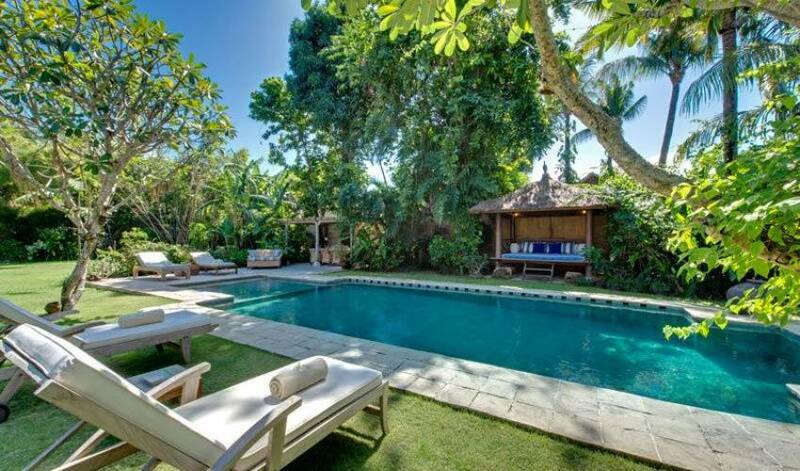 Breathtakingly quiet, yet only a short stroll from some of the islands finest restaurants, spas, boutiques and bars, The House is the perfect choice for those seeking a secluded hideaway but one that’s within easy reach of Bali’s best shopping and nightlife. 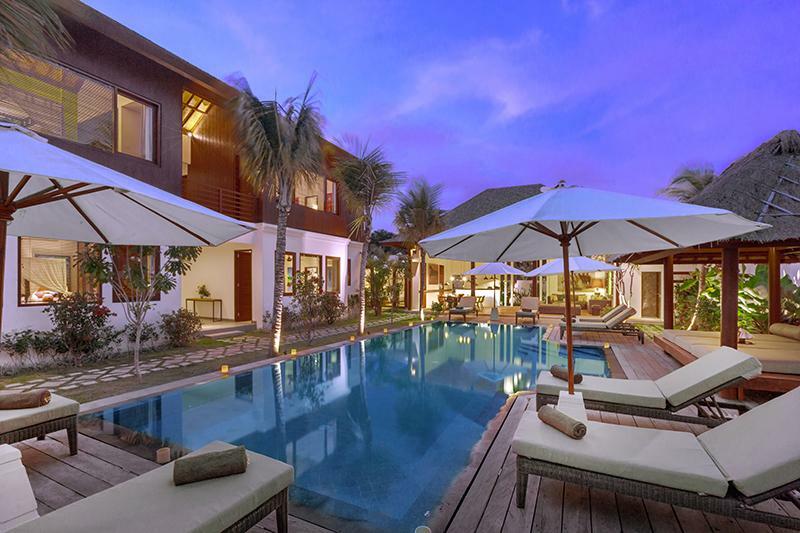 Located in downtown Seminyak, the villa is an elegant four-bedroom character home set amongst stunning tropical gardens. 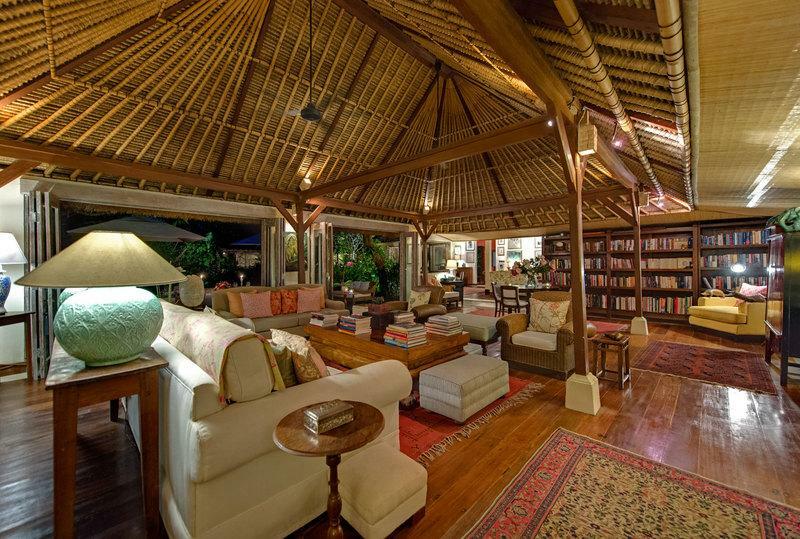 Unique in appearance and style, this delightful residence can best be described as “British India meets Out of Africa”, lovingly created by the villa’s owners, Luli and Charles Orchard, renowned in Bali for high-end furniture design. 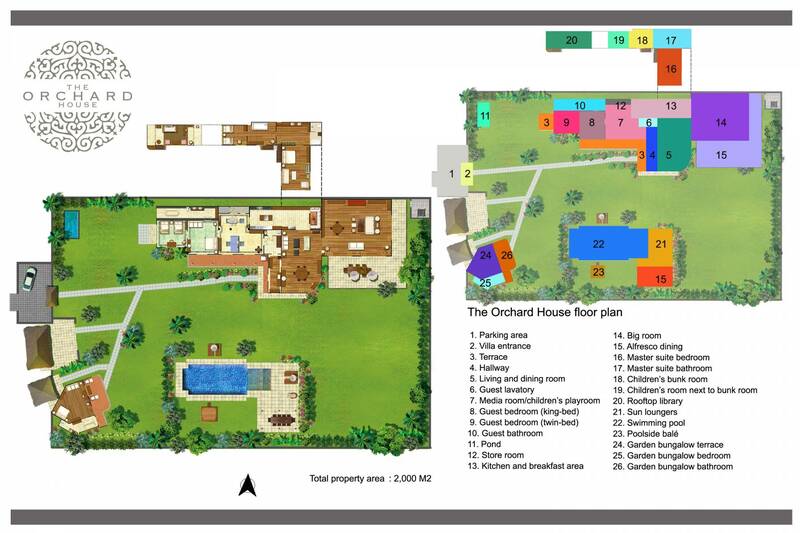 However for those who’d rather stay in and enjoy the quiet, the villa offers a multitude of living spaces and the villa is particularly child friendly too, with an additional bedroom that sleeps four children and an abundance of facilities to keep even the most energetic youngsters entertained. At the end of a small laneway a traditional Balinese door opens to reveal a magical urban oasis. 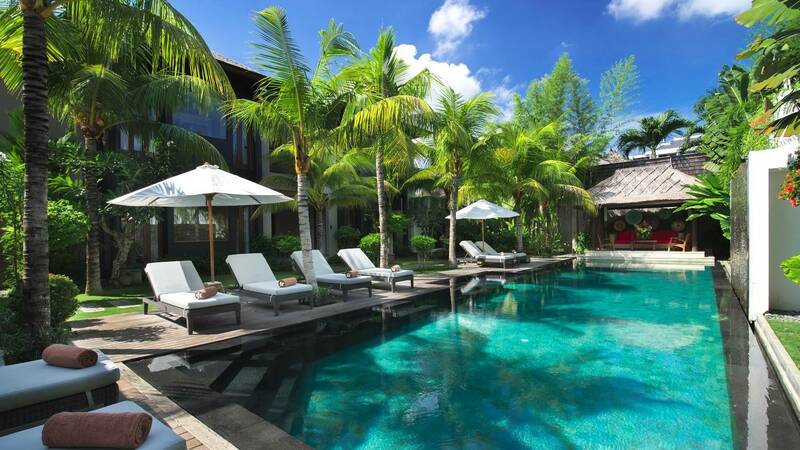 A stone path meanders through tropical gardens consisting of lush lawns, tall trees, flowering plants and a 13-metre swimming pool, to the main two-storey house with its ironwood shingle and alang-alang thatched roof. The front doors open to an inviting entrance hall which sets the scene for the whole villa. Beautiful artwork adorns the walls and polished wooden floors gleam in the sunlight that beams through the open French-style shuttered windows. A staircase off the entrance hall leads up to the master bedroom and children’s bedroom, where another set of steps climbs to a rooftop library with delightful views across the garden and surrounding neighbourhood. 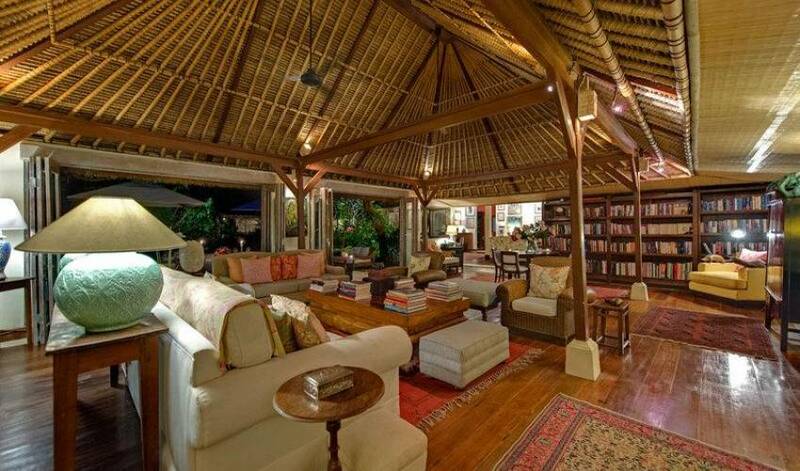 Guests at the villa are spoilt for choice when it comes to indoor living spaces. 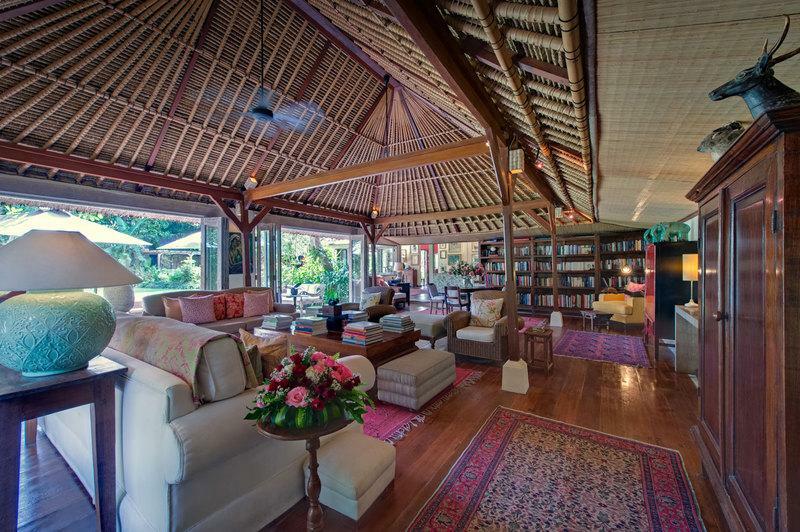 The villa has been decorated by the owners, with each piece of furniture designed to create a comfortable and relaxing atmosphere with old world charm. The artwork and antiques have been collected from worldwide travels including Morocco, Turkey, Africa, South-east Asia and India. Most of the paintings are by famous Balinese artists with the odd Picasso or John Lennon print and Burmese masterpiece scattered in between. Guests are greeted in the open-plan living and dining room, where they can recline on soft, comfortable sofas with a welcome drink while admiring the detail that has gone into making this home so special. 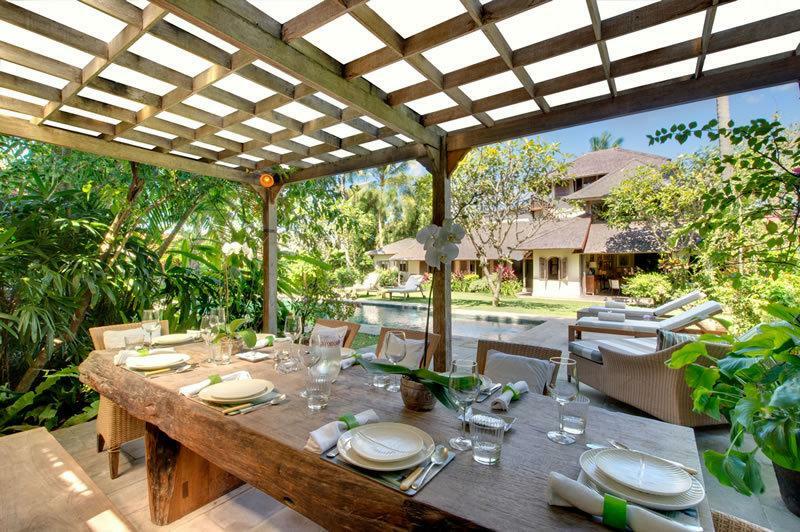 The dining area, with its circular table for six, curves out towards the garden with bi-fold doors and windows opening onto the tropical surrounds. A writing desk with desktop computer and printer/scanner sits under a bay window. 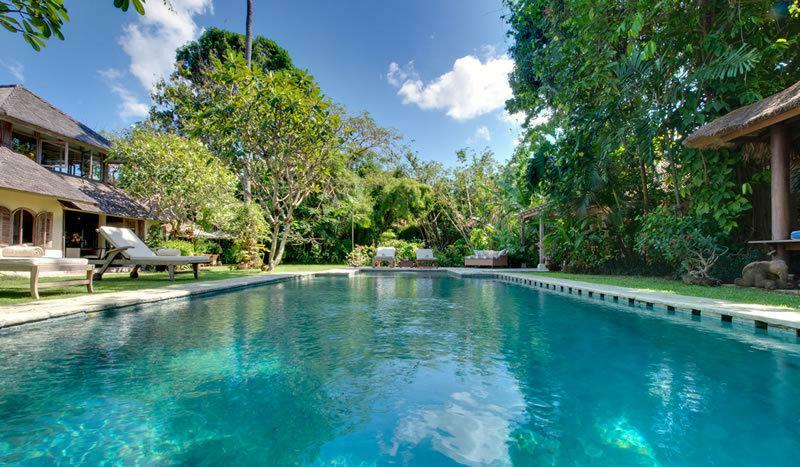 One of the highlights of the villa is its stunning garden with swaying coconut palms, towering trees and exotic blooms. 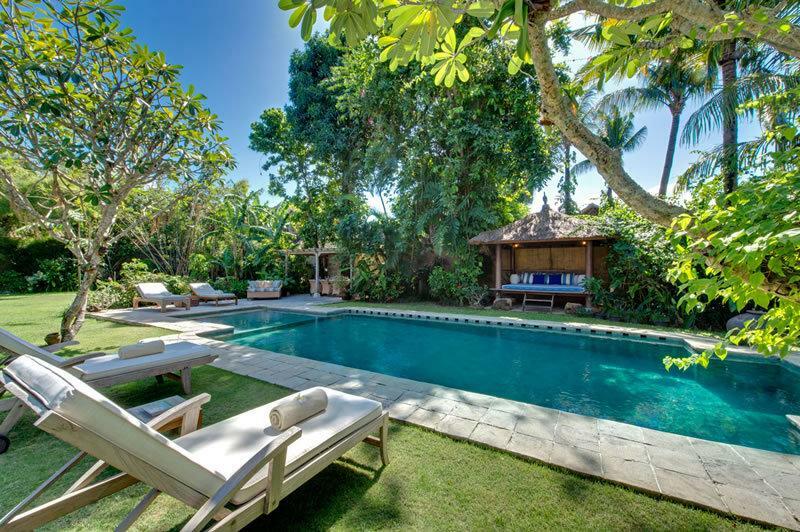 A rare luxury for a Seminyak villa, this beautiful home boasts large lawns big enough for a game of soccer, badminton or croquet. 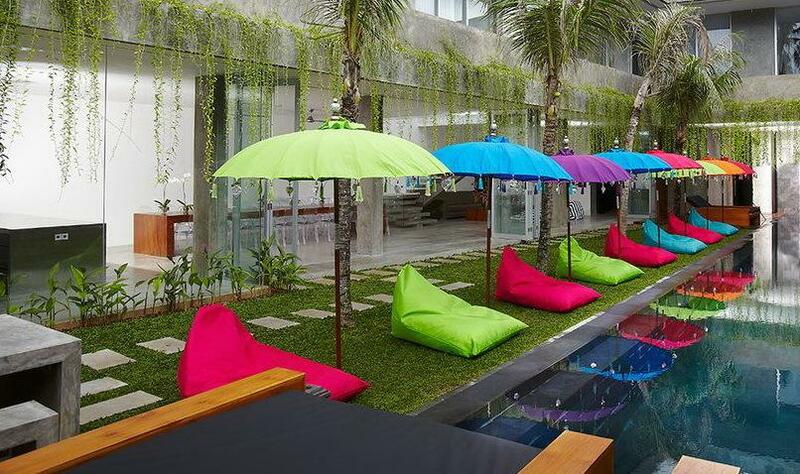 The villa is tucked down a small laneway off Bali’s bustling tourist strip, Jalan Seminyak. This lengthy street is lined with restaurants, bars, boutiques, galleries and spas making the villa a food lover and shopper’s dream location. 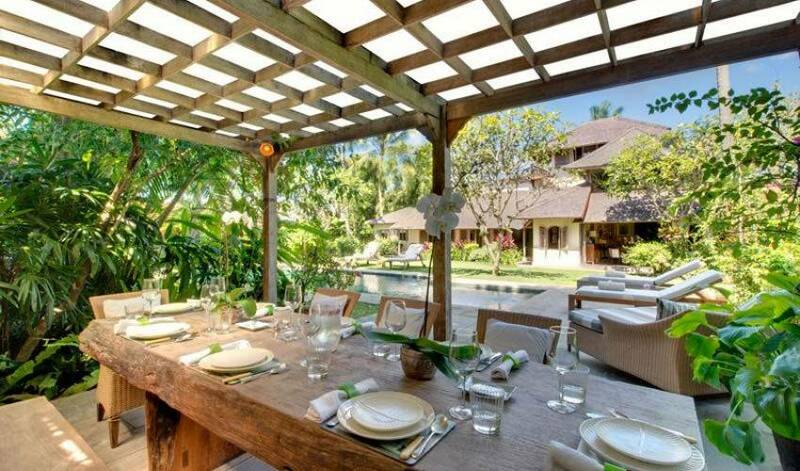 The villa is also just around thvilla so unique is that while it is in the middle of Bali’s most sought-after neighbourhood, it is also remarkably quiet and peaceful.